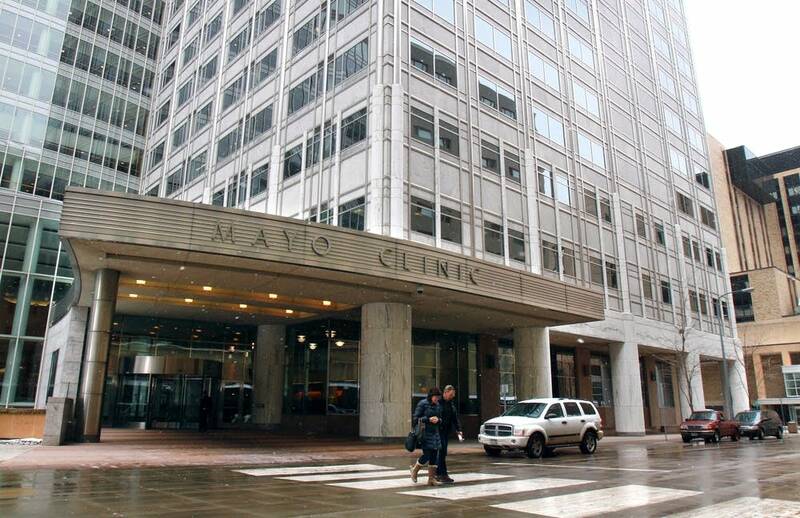 The Minnesota Department of Human Services is probing the Mayo Clinic for possible violations of civil- and human-rights laws by putting a higher priority on patients with commercial insurance. The review, confirmed Thursday by DHS Commissioner Emily Piper, follows reports that Mayo will give preference to privately insured patients. Piper's department is also evaluating its various contracts with the Mayo Clinic system, which reaches far beyond its Rochester home base. Those contracts served over 150,000 public program enrollees last year, including lab work and pharmacy services. • MPR asks: What has your experience at Mayo Clinic been like? Piper's actions are in response to a video transcript leaked to the Star Tribune in which Mayo Clinic CEO Dr. John Noseworthy explains the policy to employees. News of this policy comes just weeks after Mayo reported increased revenue last year, but also big new investments planned — including a major overhaul of its cardiac care unit. "I was really surprised and concerned," Piper said. "We need to understand directly from Mayo Clinic how and if this directive is being implemented and whether it's had actual negative impacts." Piper said she'll be working in the coming days to learn more about the policy from Mayo's leadership. In a statement, Mayo said it needs to boost commercial insurance patient numbers to continue to subsidize patients whose insurance doesn't cover the cost of their care. Mayo officials were not immediately available for comment. But the clinic's statement said it first considers medical need when it comes to scheduling patients. After that, Mayo said it considers whether patients can access care elsewhere. Medicare and Medicaid make up about 50 percent of the total services Mayo provides, the clinic's statement said, and it provided more than $600 million in care to these patients in 2016 alone. That included $500 million in unreimbursed care for Medicaid patients and charitable care. Services provided to Medicare patients added up to billings of $1.8 billion that was not reimbursed. The law clearly forbids denying or delaying care for public program patients in the emergency room, said Tom Barker, a lawyer at Foley Hoag, who previously served as General Counsel for the Centers for Medicare and Medicaid Services. However, he said, "whether or not a hospital can triage or order its elective patients based on its payer source is a little more of a grey area." For instance, Barker said, the Affordable Care Act makes it clear that federal civil rights laws apply to any entity that receives funding through a federal program. All hospitals that treat Medicaid and Medicare patients get this funding. Barker also pointed to Mayo's nonprofit status as a possible issue — tax-exempt hospitals cannot refuse to see a Medicaid patient, he said. "But whether or not they can limit Medicaid patients," he said, "I don't think I'd say that it blatantly illegal." Many hospitals have to balance the number of privately insured patients they see with patients on public programs to bolster their finances. The economics require it. But the practice does raise some ethical questions, especially as Washington is debating major changes to Medicaid that health policy experts say would put millions at risk of losing coverage. It also raises questions about the cost of care in the United States, said Holly Fernandez Lynch, executive director of the Harvard Law School's Petrie-Flom Center. "I think it's challenging and troubling to say that we are going to prioritize people who can pay more over people who can pay less," she said. "Better approaches would be a focus on the quality of care for less cost." Clarification (March 16, 2017): This post has been updated to reflect that it was a transcription of a video leaked to the Star Tribune that showed Mayo's new policy to give preference to privately insured patients.